Companies that discharge pollutants, such as oil and debris, directly into waterways are required by the Environmental Protection Agency under the Clean Water Act (CWA) to have a Stormwater Pollution Prevention Plan (SWPPP). Sweep paved surfaces regularly to minimize the amount of dirt and debris that enters storm drains. You can also place filter socks and oily water filter mats in front of drains to remove suspended solids, debris and trace oils from your stormwater and use drain filter inserts to capture residual debris and trace oils that do enter storm drains. Pressure washing drives contaminants like dirt, debris and oils into stormwater drains. Seal grates with drain covers before power washing and use a drum pump or vacuum to collect the waste water. Secondary containment in transfer and storage areas keeps spills in check if primary containers leak or fail. Put spill pallets or decks underneath containers so liquids can’t get into drains. Rainwater and snowmelt wash oil and other pollutants from drums, tanks and products stored outdoors to drains. Roll Tops and covered spill containment pallets prevent rain and snow from directly hitting these items while providing easy access to its contents. Many surfaces slope toward drains, but that doesn’t mean that hazardous spills should go down them. Stock spill kits and personal protective equipment (PPE) in areas where liquids are stored, handled and transferred to prevent spills from entering storm drains. Pollutants that come off vehicles during washdowns can go directly into drains. Pull vehicles into a confined area, such portable and collapsible spill containment, before starting washdowns to capture and keep pollutants from entering drains. Stacked drums of waste, used rags and clutter can hide leaks and spills. These leaks and spills can escape to drains if not absorbed properly and promptly. Be sure to keep adequate waste collection containers in accessible locations and put up signage to remind employees to clear waste and keep work areas clean. Consider planting more trees, wildflowers and rain gardens around your facility since they absorb more water than grass and discourage erosion. The soil and gravel used in plant beds slows down runoff to storm drains and absorbs water unlike impermeable surfaces, such as brick or pavement. Outdoor spills can be hard to clean up, especially if they occur on dirt, sand or other porous surfaces. While not traditional, an effective way to clean up these spills is through bioremediation, which uses naturally-occurring microbes to digest pollutants like oil, solvents, pesticides and other petroleum products. Encourage employees to reduce stormwater pollution by incorporating BMPs into standard operating procedures. Discuss stormwater pollution prevention at staff meetings, offer stormwater training and leverage events and holidays, such as Earth Day, to raise awareness. When it comes to CWA compliance, even small efforts can lead to big results. Following the above tips can help you avoid violations and fines at your facility. You tell us: Does your facility use other practices to prevent stormwater pollution? Let us know in the comment section below! 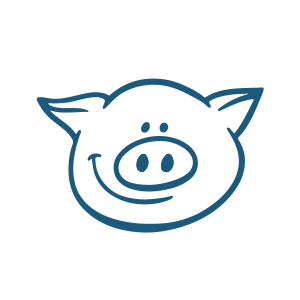 Brittany Svoboda leads New Pig’s marketing automation team. She works with marketers to create and disseminate information to help customers comply with regulations, select the appropriate products for their applications, stay safe and protect their environments. What Is a SWPPP (Stormwater Pollution Prevention Plan)? Learn what, exactly, an SWPPP is and why you need one.